What did you do over the weekend? Well for us the wedding season has begun. We spent the weekend delivering our luxury restroom trailers to “now” married couples. It’s so exciting to see all the beautiful wedding settings. Out south we had the pleasure of delivering a trailer to a family for their daughter’s wedding on their private property. They didn’t let a little drizzle or grey clouds stop a beautiful day. It was such a cool set up; they had a large tent for everyone to hang out in, a campfire set up, and an s’mores station. The evening brought a band to help everyone dance the night away. When we went back to pick the trailer up, we we’re so excited to hear our luxury restroom trailer was the talk of the wedding. And the parents we’re so excited they didn’t have 100 people in their home. 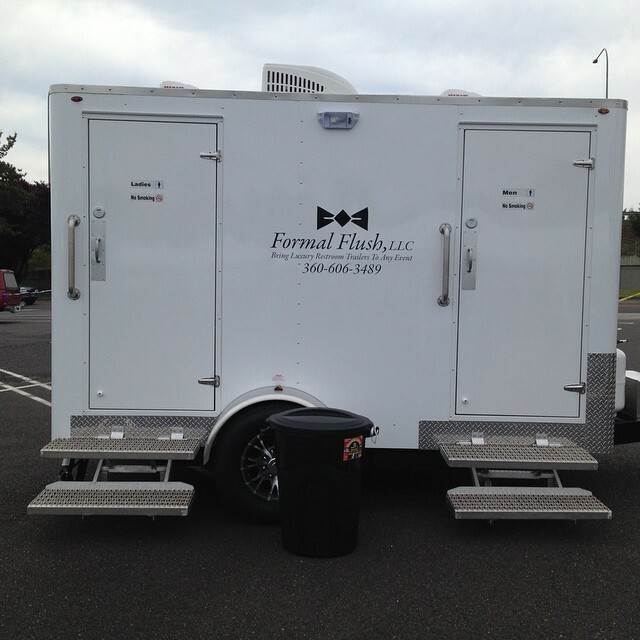 Wedding Season is here and we’re so excited to be delivering our luxury restroom trailers all over Oregon and Washington. If you’re in the planning stages of your wedding or event and might need a restroom trailer you shouldn’t delay reserving. Many doesn’t think about how their private home event needs extra facilities on hand. Would you really want 100 or 200+ people in your home? Not only is this a lot on the plumping system, who wants to clean up after all these guests? Make is easy on your self and rent a luxury restroom trailer. We delivery, pick it up, and deal with the clean up. One less thing for you to deal. The event should be fun, not include you having to make deal with the facilities. 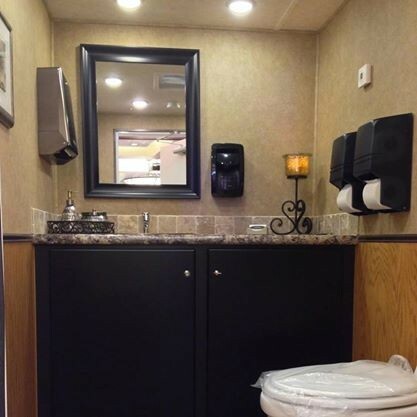 Our luxury restroom trailers have several amenities, including air conditioning. No one can resist the A/C on the hot August days. Over the weekend we enjoyed the sunshine at the Vancouver Mall Farmers Market. Did you know there was a Farmers Market out at the mall? Yep there is and it’s awesome. Through out the summer every weekend you can find some wonderful vendors offering their amazing foods, crafts, and specialty items. We had the pleasure of providing our luxury restroom trailer through out the weekend. It was really cool how excited everyone was about not having a porta potty. While the sun was blazing down, you could step into the air condition restroom trailer for a cool off. Looking forward to enjoying the market on the weekends. This Sunday is the Bridal Show @ The Historic Gentle House. Come by from 1pm-5pm and meet all the amazing vendors on hand. The link above is the event's flyer.